You're probably thinking, "Why are you talking about cakes, Sarah? Aren't you being all healthy now?" Let's be real, I love cake. I have since I was a kid and grew up with Ollie's wedding cakes and icing for snacks. It's been a year since I took my last cake decorating class. Two years ago, I decided to start taking cake decorating classes at Michael's as a way to de-stress. There were few things that I could control in my job and when baking and decorating, I controlled everything from choosing the cake to how it looked and tasted when I was done. I also did it as a way to remember my Grandma Ollie who was one heck of a caterer. Some of my favorite memories of her and my grandfather revolve around wedding cakes and favors. 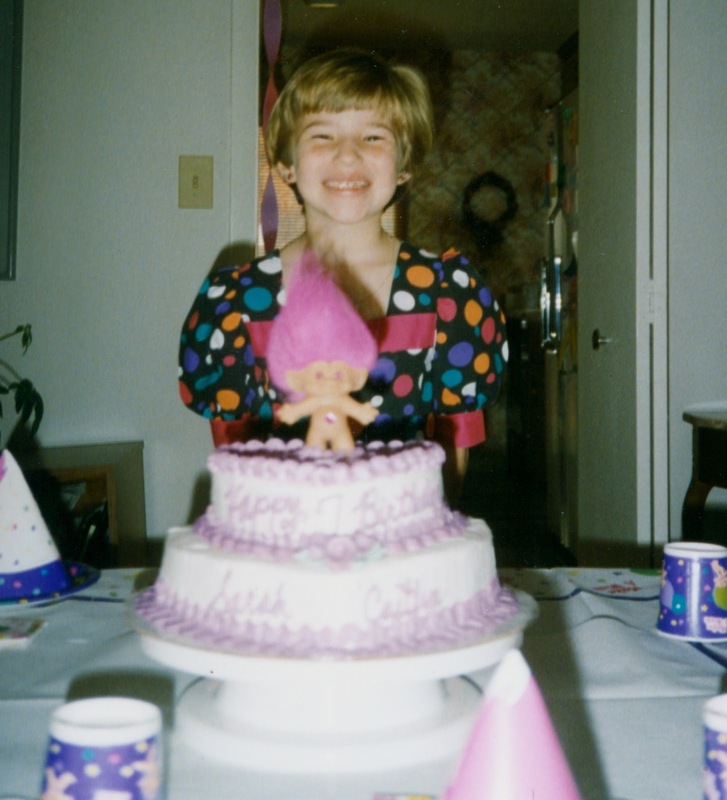 1990's me with one of my many Ollie cakes! With a troll on top...and poofy sleeves. When you take cake decorating classes, you find out all the different cake decorating tools that are out there. There are tons of them! And with Michaels offering a 40% or 50% off coupon every week, you're tempted to buy all the tools. But which ones do you really need? Which ones are you going to actually use? I will admit that I have a ton of cake decorating tools. 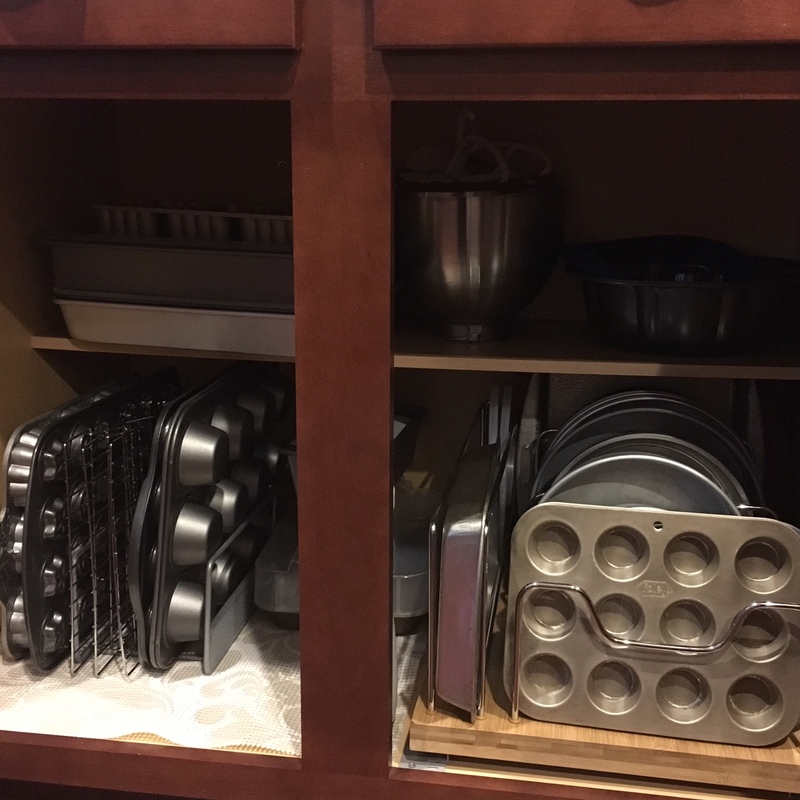 I have a huge tool kit, plus a stack of tools that don't fit in the kit, a cabinet full of baking pans and another air-tight plastic bin of cake pans. It's a problem. The cake pans I use all the time. But the tools? I probably use about half of them. I wish someone had told me when I was taking classes what things I would actually use and what I wouldn't. So this post is for you, the one that is interested in taking classes or just learning at home. Maybe you want to make cakes for your kids birthdays or you just want your coworkers to be amazed by your cupcake skills! Maybe you're just like me and love cake - any kind of cake. First, I am giving this disclaimer. I hardly ever do anything with fondant anymore. I mostly use buttercream. But I do keep a lot of my fondant tools around because they are necessary if you do ever decide to work with fondant. I also haven't baked that many cakes lately, especially since we moved into the new house. I guess I should probably change that. This is my tool kit. It's pretty awesome and has a ton of stuff in it. The top row has decorating tips and bag ties. The second row has couplers for the icing bags, colors and some fondant cutters. The bottom row has the larger items. These are bag ties. 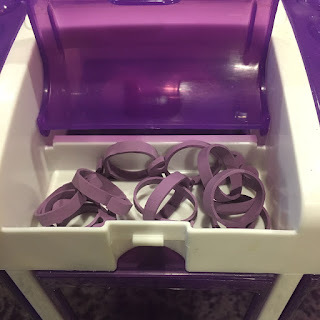 They are the most useless item I have ever purchased. They just take up space in my kit. I think I paid $2 for them, but still. I've never used them. Just twist the top of the bag and move on. Two full rows of icing tips. I went through this stage where I thought I needed to buy all the different types of tips. But honestly? I use about five of them on a regular basis, ten at the most. I use the three at the bottom of the picture for writing, I use a #10 for ropes and dots, the basketweave tip and 1M and 2D for cupcakes. I do use some of the other tips, just not as often. If I were doing lots of flowers, I would probably use a lot more, but I don't. A starter pack will probably get you what you need. 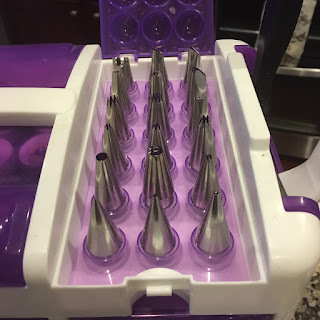 Or even just the tips that come in the cake decorating kits. Cake using the basketweave tip and #21 for the shell border. I don't use any of these three items below. The left are tip covers and they're useless. One more thing to clean. Just put your icing bags into a bowl. The middle one is a coupler for larger tips like 1M and 2D. Honestly, I just put them straight into the icing bags without a coupler. 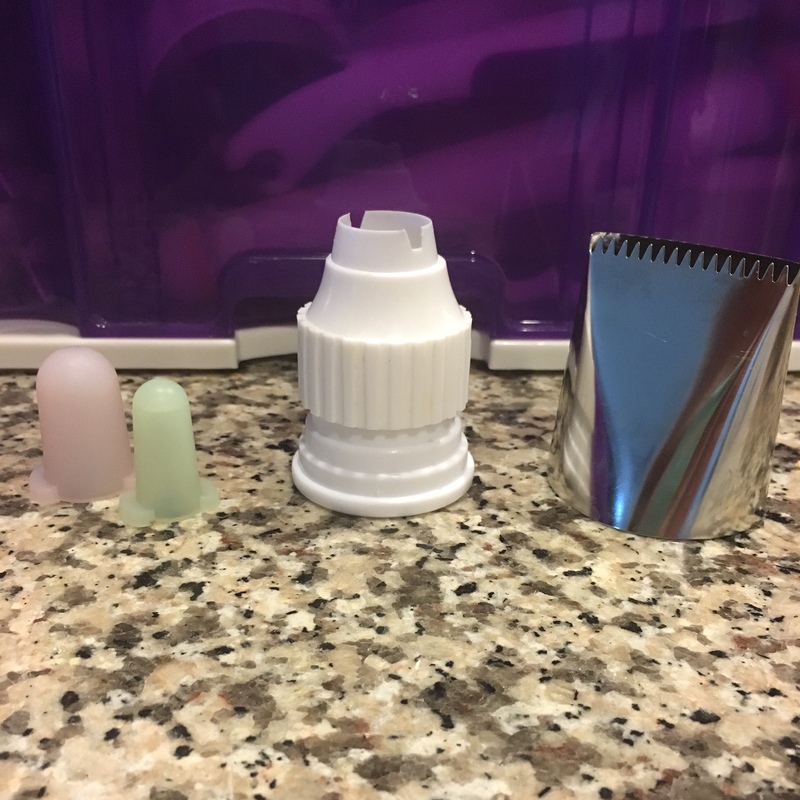 The tip on the right is for doing a thin layer of icing on the side of cakes. For some reason, that never worked for me. It does for others, but not me. I just use my spatulas. These are my favorite couplers. 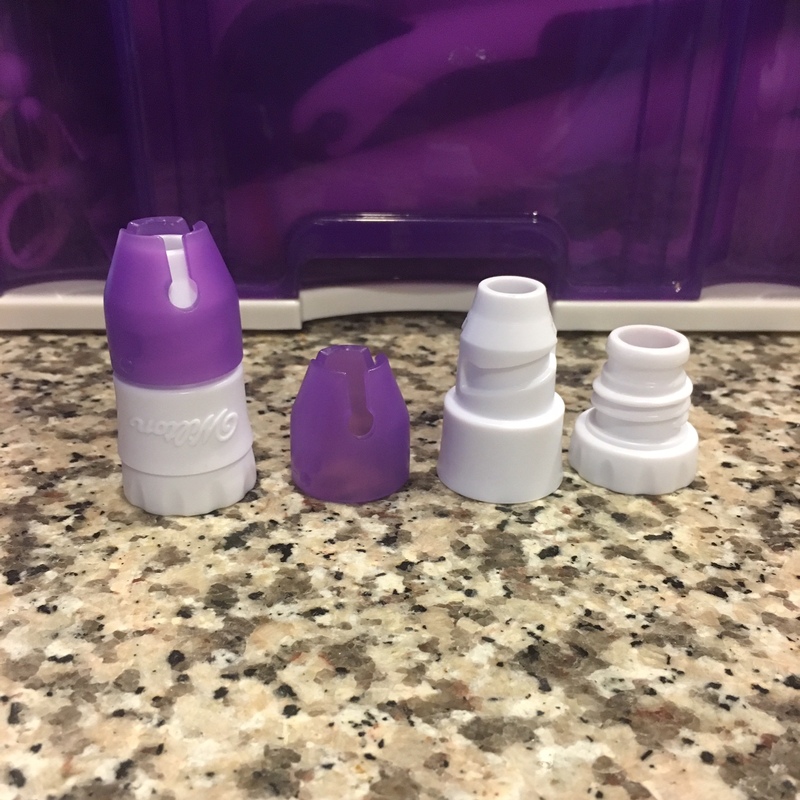 I also have the older versions and they work, but these allow you to change the tips out on the bags easier. The older ones are just a little more cumbersome. Also, after a few hours of decorating a cake, your hands will thank you for these as they are much easier to unscrew. The only downside is there are three parts to clean instead of two. This guy is one of the best things I ever bought. 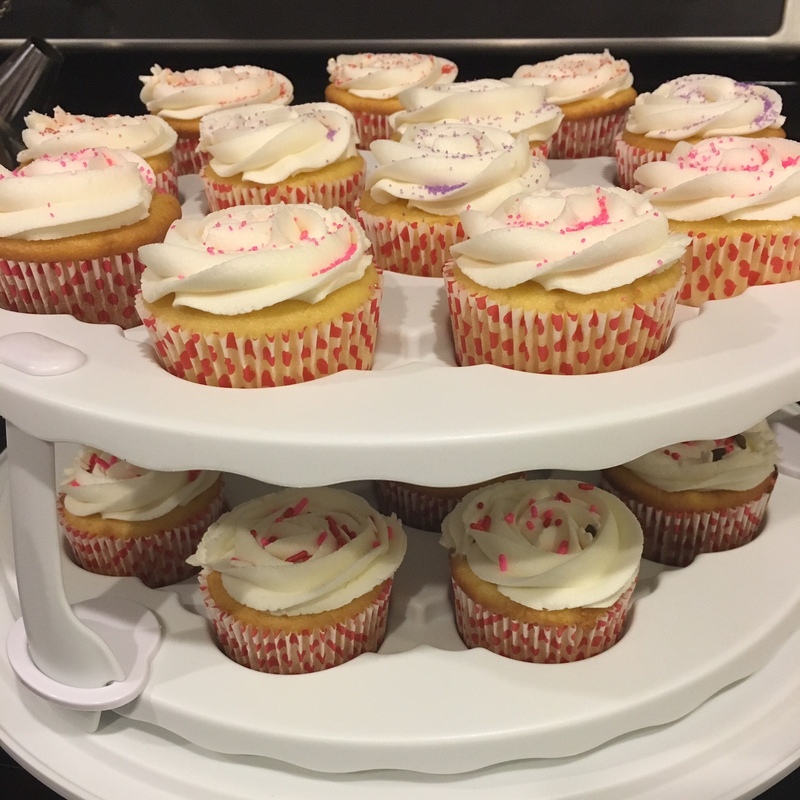 It's a dishwasher rack for your icing tips. I hate washing them, especially a #1 tip, so this just makes life so much easier. Definitely worth the money. 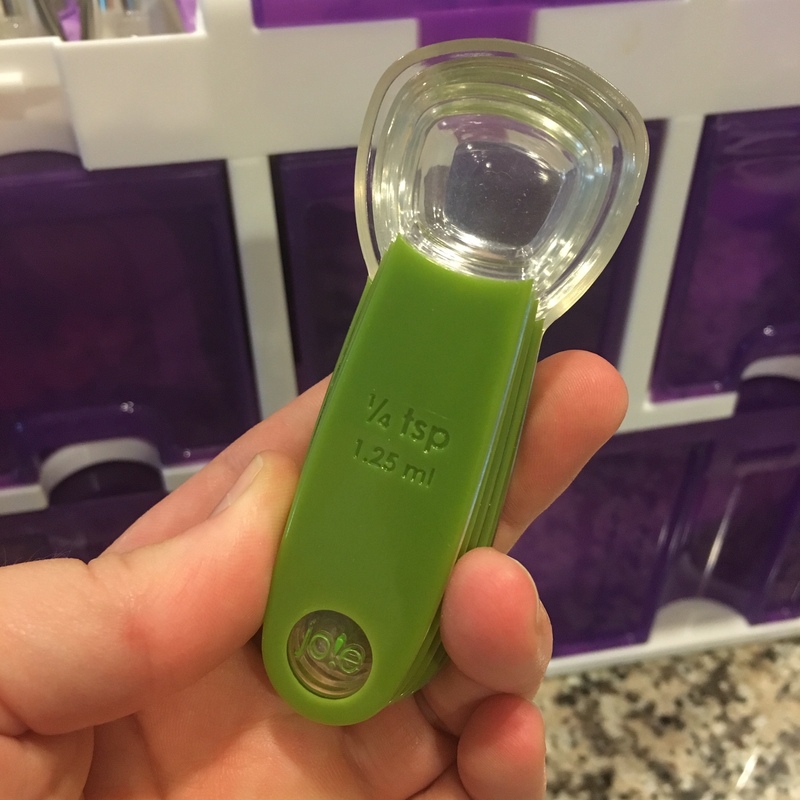 This is not a cake decorating tool per se, but something I recommend: a set of measuring spoons. I have about 4 sets of measuring spoons in my kitchen and will still not have a clean tablespoon or teaspoon when I need it. Having a set in your kit just makes life easier. Fondant! I'm not going to go through all the fondant tools I have. It's a lot, but I got most of them through my decorating kits. Even if you don't take the classes, the kits are a really good way to get most of the items you will need for cake decorating and a book that explains how to use them. I still use all my books for icing recipes and remembering how to do designs, like basketweave. You forget when you don't do it all the time. This was my first fondant cake. It was my final project for Course 3. This guy, however, did not come out of a kit. I bought him. And he is worth the money. It's a duster. 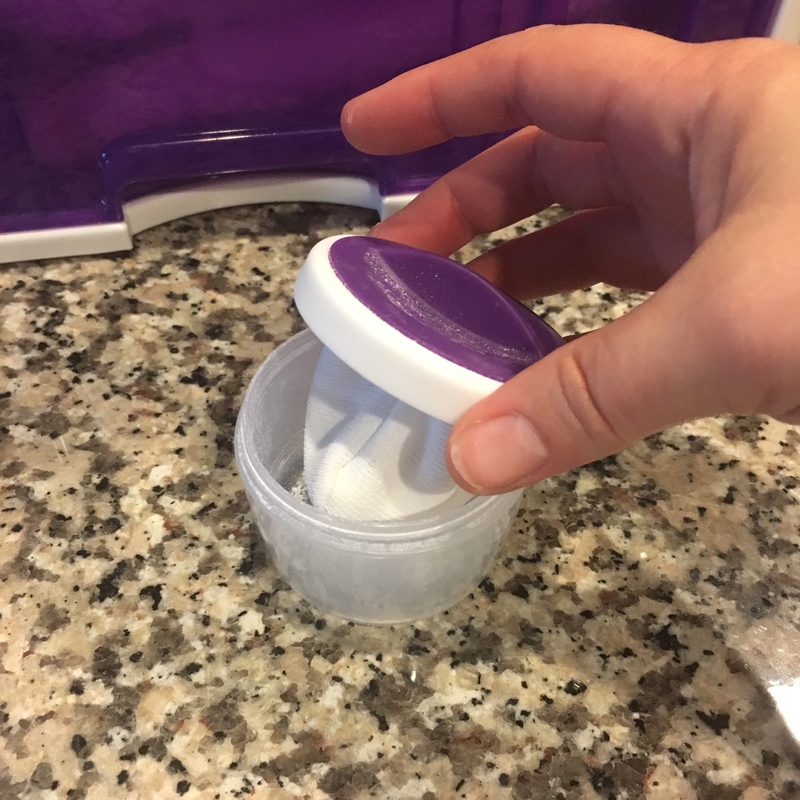 You put flour or cornstarch in the top and then use the bag to dust your parchment paper and rolling pin for rolling out fondant. Genius. Everything else that I have and/or use doesn't fit in my tool kit. Rolling pins. You can use a fondant roller, but my friend Sarah that's a baker recommended using a French rolling pin and it is so much better! It's long and tapered so there aren't any sharp edges or corners on it. This means you don't mess up the fondant when rolling it out. 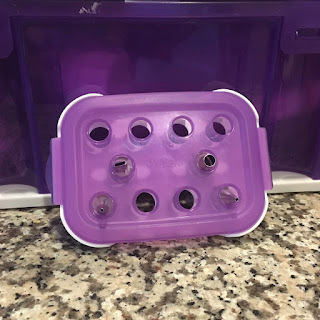 I store mine in the box that my fondant mat came in. Fondant mat (helps with measuring while rolling out fondant) with my French rolling pin and the fondant roller from the kit. Cake table. This. You need this. To be specific, this is the Tilt-N-Turn table from Wilton. I have my grandma's old one, but I also got the tilting one for my birthday one year. Just be careful when tilting, I have dumped a cake that way. Tears were involved. My sister-in-law's shower cake on my tilting cake table. This is also the cake that I dumped off the table. Sigh. Cake leveler. This is one of the few tools that I thought I would use and I don't. The leveler that is big enough to use on 9" round cakes is flimsy and doesn't cut straight. I use my long 8" bread knife to bisect cakes. Cake circles/rectangles, aluminum foil and shelf liner. These probably sound really random, but they go together! I keep cake circles/rectangles (what you decorate the cake on) to fit 6", 9" and 9x13" cakes. 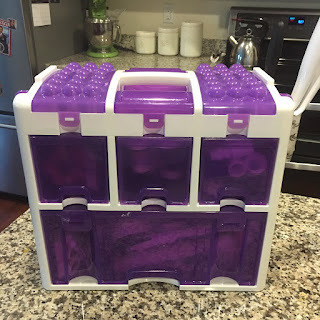 I buy the cheap ones, mostly, in bulk and then use aluminum foil to cover them if I'm trying to make it sturdier or prettier (see photo above). 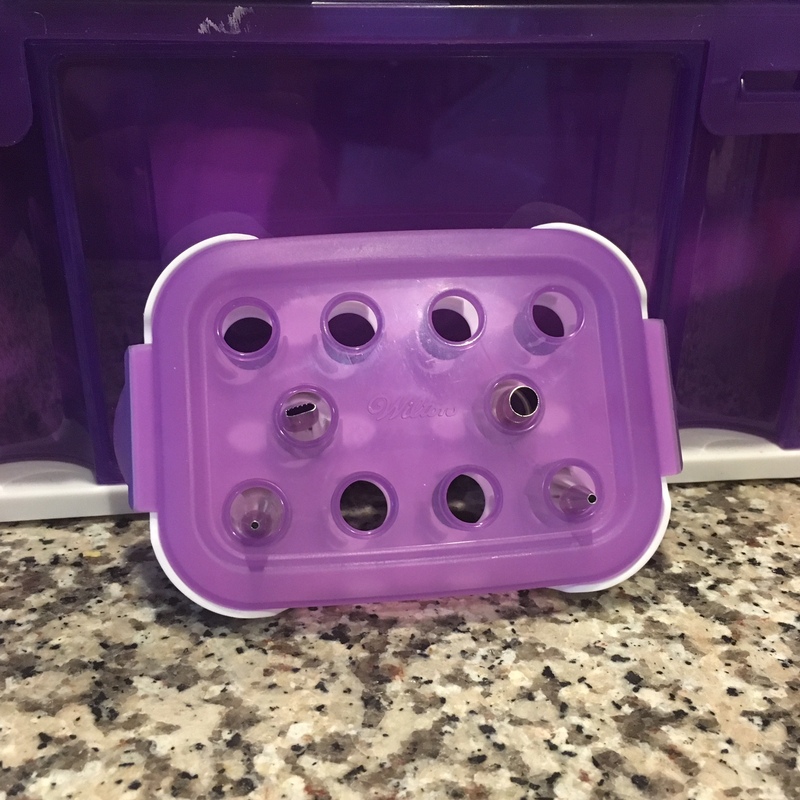 The shelf liner I use under the cake circles/rectangles on my cake carriers to keep the cake from moving around and smashing up against the side of the carrier. The shelf liner also helps keep you from dumping cakes off the cake table. Bake right strips. These babies go around the cake pan when you're baking. They help the cake bake evenly without the big dome on top. I'm a believer, but not all are. I have multiple of these and use them every single time I bake a cake. You can also link them together for your bigger cake pans. If you're going to use all your Michaels coupons on cake decorating stuff, use it on pans. You really can't have too many. 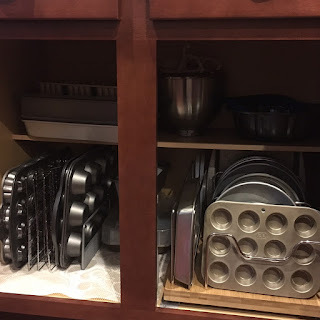 I keep in my kitchen 2 6"and 8" rounds, five 9" rounds (I inherited three my from grandma), three 12 cup muffin pans (one decorative), two 6 cup muffin pans, one mini 12 cup muffin pan, three 9x13" pans, a 9x9" pan, an 8x8" pan, and three loaf pans (one decorative). And they all get used. That's just what's in my kitchen. There are more pans upstairs in a closet. Finally, my last thing that I really can't recommend enough if you're going to make and decorate cakes - a stand mixer. I have the 5-qt Kitchenaid. The 6-qt is really nice, but doesn't fit under all cabinets. You can use a handheld mixer, but your arm is going to want to die. Especially if you make royal icing. For years, I used my Grandma Ollie's. I'm pretty sure that thing is as old as I am and it still works! It doesn't do so well with cookie and bread dough, though (the motor starts burning). When we got married, I so lovingly informed my mom that I wanted a lime green Kitchenaid from her and my father. And like the spoiled brat I am, that's what I got for my birthday/Christmas after the wedding. I don't use my Grandma's Kitchenaid anymore (not trying to burn down the house), but I did keep all of her attachments and the extra bowl, which is a Godsend when making cake and buttercream in the same night. Cuts the washing in half. Definitely get an extra bowl if you can! Talking about all my pans and beloved tools made me want to bake a cake and I owe my co-worker a Five Flavor Pound Cake, so I think I've inspired myself to use some of these tools! How about you? What tools do you use that I haven't listed? What don't you use that I do? More importantly, what cake are you gonna make?!? And when can I come over?